So, I can't believe I'm already six and a half months pregnant. Ever since we found out we were having a girl, I feel like time is flying! We still have the boys room and a nursery to do! Yikes! 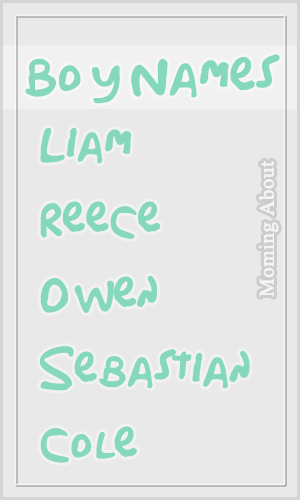 Anyway, this is my list of must haves (okay and maybe a little lust) for January! Thanks to Ashley over at My Craftily Ever After for giving me some advice on baby wearing and choosing a baby carrier/sling. After hearing from her, I'm definitely putting this baby carrier on my registry! Ashley backs it and it seems like almost every Amazon reviewer does as well! The carrier can even be used with babies 7 to 12lbs with an infant insert. Admittedly, I considered cloth diapering at least partially because it's so much cuter than regular disposables! However, I realized a while ago that cloth diapering wasn't happening in this family. Then all hope was restored when I discovered The Honest Co. Believe it or not, this company is co-founded by Jessica Alba (not that, that really matters when you're cleaning up baby poop, I suppose). Okay. Well, I can honestly say that I was drawn to them because of how stinkin' adorable their printed diapers are! Shocker! I'm so shallow, I guess. Anyway, they're jumbo packs contain a similar amount of diapers as other companies for just under $14. However, they also offer bundle packs, if you can afford to go that route. If nothing else, these gorgeous, eco-friendly diapers have me on the look out for adorable, printed, disposable diapers (which I can't seem to find from anyone else, anyway). I first saw this system in a magazine, in my doctor's office waiting room. I had to come home and learn more. To be honest, I'm seriously impressed with the Kiinde system! The system appears to simplify the process of pumping, storing, and feeding baby; and is essentially a closed system. The Kiinde system has 4.6/5 stars on Amazon, with a few reviewers pointing out possible flaws (or unusual flukes) in the system. Overall, this system seems like an amazing idea for working moms or (someone like me) those who plan to exclusively pump breast milk. Well, there you have it. There's three items that I think are a good addition to any baby registry. What are your baby musts or lusts? Okay, this is so simple that I'm almost ashamed to be posting this. This has definitely decluttered my bathroom! The best part is that this was so easy and cheap! All you need to do is buy another tension rod, a shoe organizer, and hooks. Hang up the tension rod in the back of your shower. 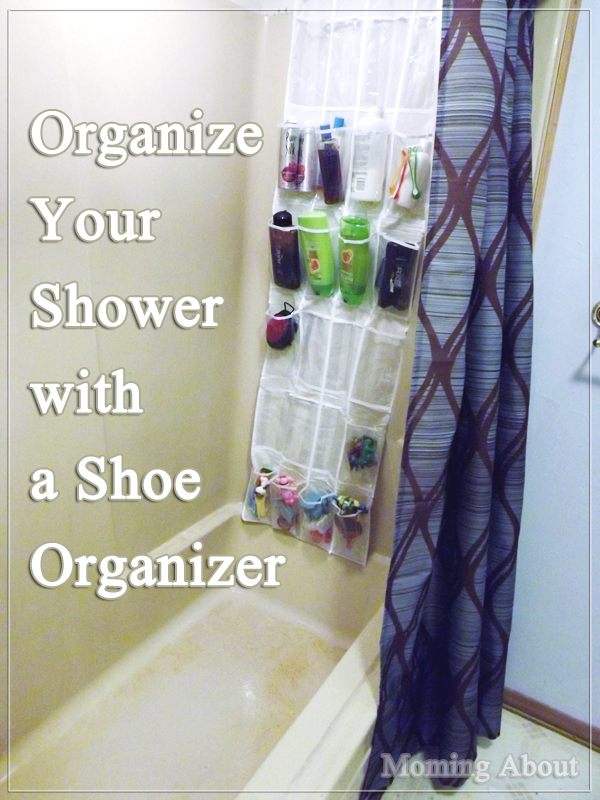 Lace the hooks through the holes on the shoe organizer, and hang on the rod. See! It's super easy! As you can see, the kids store their stuff toward the bottom and we can keep razors and other things we don't want them to have toward the top. I missed posting on Friday this week, but (to be fair) this is my second week back to college and I'm adjusting to time management fairly well. I even opted to take an extra class this semester, so I'm taking 12 credit hours instead of 9! I figured the semester before baby girl gets here is probably a good time, right? I'm, in no way, the inventor of this cleaning idea/tip, but I will advocate for it. 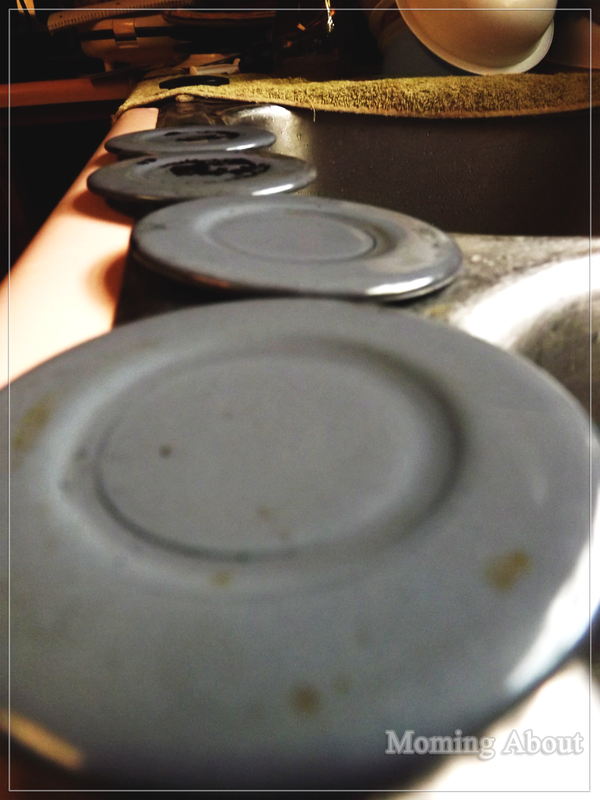 It truly saves you the headache of scrubbing, mostly unsuccessfully, to clean your stove burners/grates. I also cleaned those things underneath the grate, though I have no idea what they're called. The process is simple. 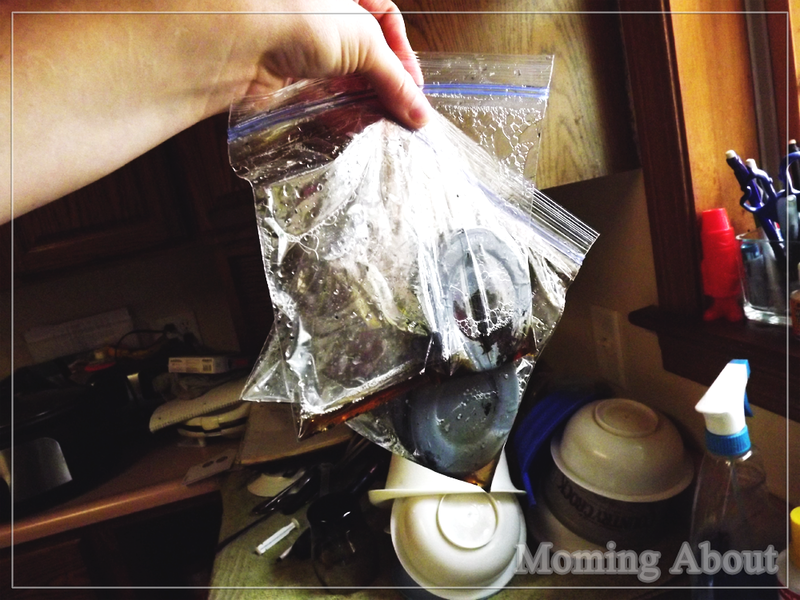 Pour some ammonia in a Ziploc bag or other sealable container/bag. Place grates/burners in bag and zip up. 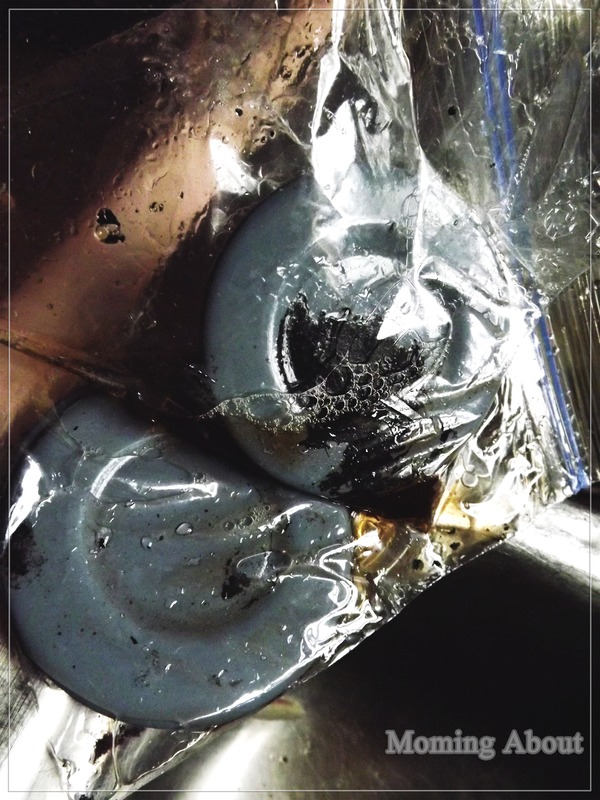 For people with single burners/grates, unlike my double ones, you can usually fit on per large Ziploc bag. Let sit overnight or so on your front porch or in your garage. I opted for the front porch because of the fumes. 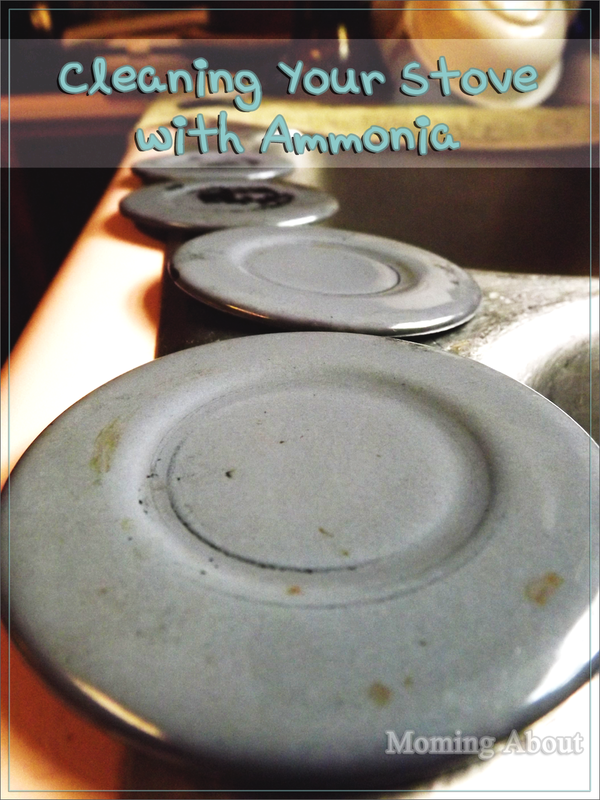 The fumes from the ammonia will make it so that getting all that grime off your stove grates is much easier. I've determined that you'll have better results with an air tight container or bag, because I have double stove grates (not pictured) and I double bagged them in trash bags and they didn't get quite as clean as whatever these parts are that I have pictured. Have you tried this? Do you have anything to add? 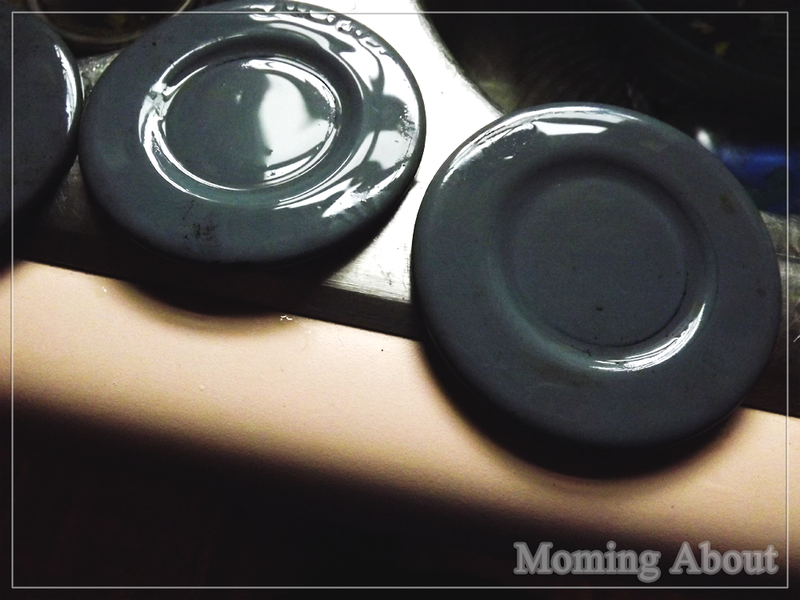 What are your favorite cleaning discoveries? Or Pinterest discoveries? 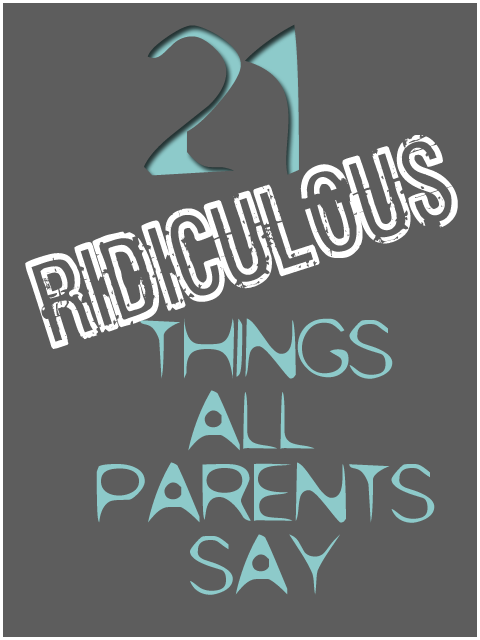 This list hardly covers all the things I heard as a child, but I think it covers the more ridiculous (and possibly stupid)ones. Of course, many of these have been or will be repeated by me and other now-parents. Why can't we stop this repetitive nonsense? I brought you into this world and I can take you out. I'll knock you into next week. Because I told you to. When I was your age...blah, blah, blah. It'll make you grow up big and strong. If whats-his-face jumps off a bridge, are you going to jump too? Stop crying or I'll give you something to cry about. I've had it up to here with you. It's my house, my rules. As long as you live in my house, I'm the boss. One time, I posted about how I discreetly carry and organize my coupons. I also admitted that I'm unlikely to ever make it on the Extreme Couponing reality series (is that series even still on?). However, I think I do pretty good for myself. I wanted to quickly share where I clip my coupons from. The most obvious place to get coupons is out of your local Sunday paper. For me, I buy both my semi-local metropolitan newspaper and the town paper on Sundays. I advise having the paper delivered to you so you never have to worry about forgetting or going out too late and the paper being gone. This has happened to me. Apparently everyone goes out and buys a paper before or after church, so if I sleep in...I'm not getting the paper. Don't follow my bad example at forgetting to renew your subscription to the Sunday paper, either, because it saves you a lot of hassle. Plus, I hear you can get good deals if you seem reluctant to agree to a subscription. Every penny counts! For me, many of the local libraries have a couponing group or they have a box where you can leave your unwanted coupons and take others. It's worth looking into. Also, other community centers might offer this. Otherwise, you could start one yourself! Now, I'm a little particular about where I print coupons off. I rarely use coupon codes and I don't use digital coupons that you can load on to store cards like Kroger offers. While those are great if you want to dedicate yourself to that store, that's not for me. I like Wal Mart's ad matching policy, so I mostly shop there. Coupons.com is, by far, the best place to get printable coupons. Coupons are automatically sent to the printer, so they print in color unless you have your settings changed. I posted a video tutorial on how to do just this the other day! You can scroll through the entirety of the coupons or you can view them by category. Proctor&Gamble offers the most coupons in my local paper. However, you can print a few that might not be offered in your paper or even duplicates of your favorites from their website. If you sign up, you can even get coupons and free samples mailed to you. You can print manufacturer's coupons from Walmart.com, too! I actually don't use this site often, and you can find their coupons in most local newspapers. However, you can print coupons from Redplum, if they have something you like! 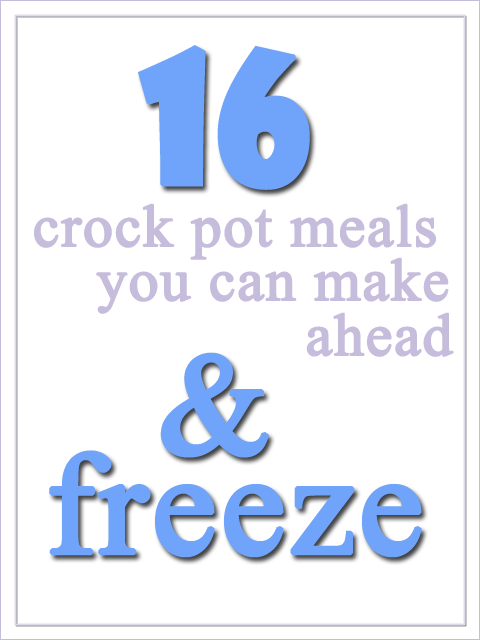 Recently I stumbled across Organizer By Day's 20 Crockpot Meals Each Under $7. My oven was out of action for a few months and, in that time, I fell in love with my crock pot. However, the idea of having everything ready ahead of time and just having to throw it in there was a very appealing idea! I decided that I absolutely had to try this. I borrowed quite a few of her recipes and modified most of them to my liking. If you're going to do all the prep for this all at once, I suggest doing it on a day when you have 6 to 8 hours to spare. Of course, I was alone with a three year-old and other distractions, so it might only take 4 to 6 hours for someone with less distractions and/or a little help from a significant other or older children. Note the yield amounts please. These recipes will feed a maximum of 6 single servings, with a few exceptions. As suggested by Organizer By Day with her recipes, I added extra meat to some to make it more probable to feed my family. 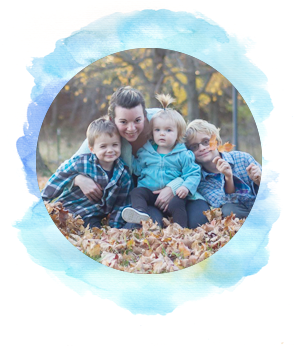 We are a family of four; two adults and two small children. If you're feeding a very small household, you can divide most of these recipes in half when you freeze them and make two meals. Here's a quick video that should at least get your started on how to change your printer settings so that the coupons will automatically print in black and white. You can choose between standard and fast print quality. I stick to standard, but I've seen some people say to change it to fast. Under color, choose grayscale. Remember that all your printing will be grayscale from there forward, so change it back if you're going to print photos or something. Some people still struggle with getting coupons to print in black and white, so they simply take out the color ink cartridge. Not all printers will let you do this and still print, but it's another option. Wow! Is it really that simple? Well, I believe it can be. 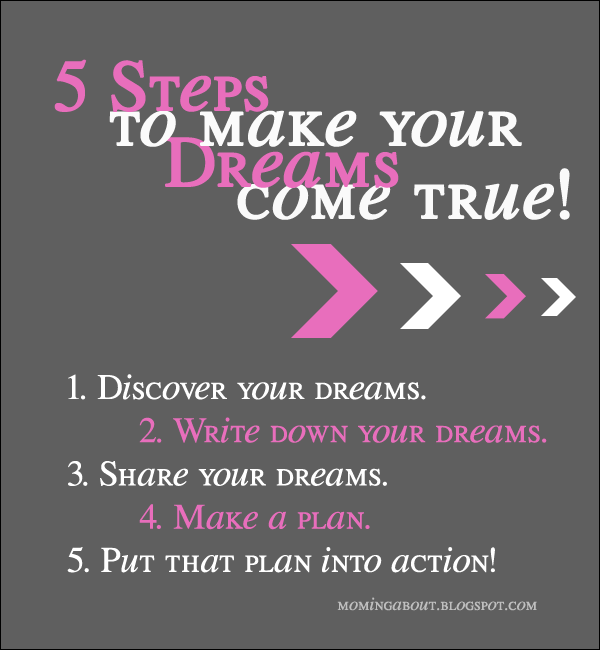 I bet you didn't know that today is Make Your Dreams Come True Day! I'm celebrating by sharing some quick, simple, and effective steps to help you achieve your dreams. Many of us don't even know what our dreams are or have buried them somewhere deep inside, and we're too scared to admit them to ourselves. Before you can achieve a dream, you must discover it. 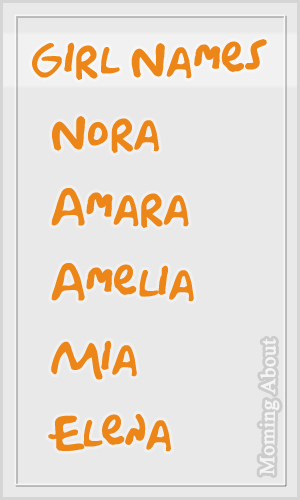 Many, many people can attest to the effectiveness of writing things down. Whether making a to do list, a goals list, or a list of your dreams... writing them down has a way of making them real. Now, not only have we admitted our dreams to ourselves, but there they are; right there in black and white (or whatever colors you choose with write with). I think this is super important. Share your big (and little) dreams with the people you care about and trust. Forget all the nay-sayers and remember those people that will lift you up and help you achieve your dreams. Tell these people what your dreams are. Similar to writing it down, it's helps keep us accountable. You never know when someone's going to ask, "So how's that book you were writing going?" or something like that. Tell people so they can help your stay on track and be excited with you! It doesn't have to be extensive. Maybe you have a big dream that needs broken down into smaller goals, like a stair case to the top. Maybe you just need to jot down a quick to do list (example: take a college course, join a club, etc) that will aid you in achieving your dreams. If you can make a plan, it'll be easier to work toward making your dreams come true. Put that plan into action! Finally, put your plan into action. Start working on your dreams ASAP. When you hit a rut, find those people your shared your dreams with and tell them about it. Complain. Whine. Most importantly, don't beat yourself up over a dream that is not yet achieved. Maybe you need a new plan. Maybe your dream has changed. Stay positive. Stay motivated. This is just a quick post I wanted to share from Talon's seventh birthday. I always try to go all out on birthdays. Sometimes I'm more satisfied than others! 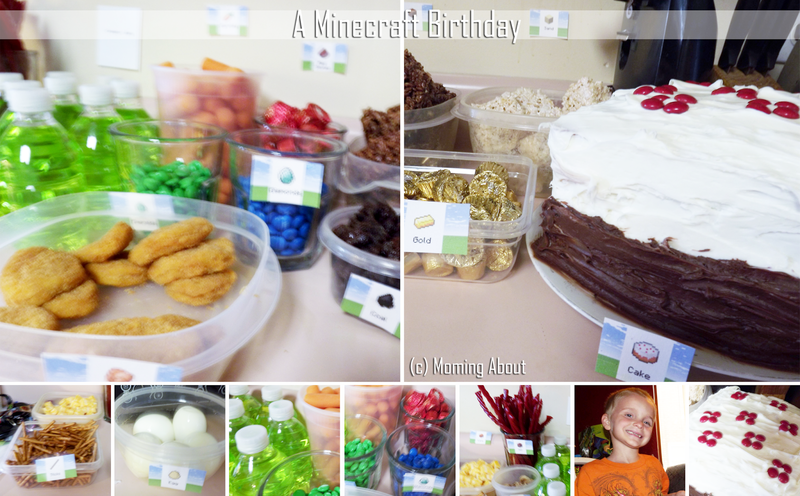 Talon turned seven in September and we finally decided on Minecraft for the theme. I made a small, double stacked, square cake that looked like the pixel cake from the game. My mother gave me a lot of grief about making such a small cake, but with all the Minecraft themed snacks... Well, we had quite a bit of cake leftover. None of the pictures I took turned out to be very high quality. I think I might have had a smudge on my lens and not realized it, but you should be able to catch the gist from what I've provided. A lot of google searching I found probably too many plenty of minecraft images. After improvising and some fancy schmancy work on my part, I created label for all the snack dishes and coordinated edible versions of minecraft items to the labels, as you can see above. This was a relatively simple idea and a pretty big hit with everyone, adults included. I did my best not to make all the edible Minecraft items candy, so you can see I had chicken nuggets (AKA cooked chicken), pretzels (AKA sticks), eggs, carrots, etc. Anything you'd like to add? I'll gladly credit you if you have any other good edible minecraft items! I'm sure I forgot some! FYI: That awesome collage template is from The Coffee Shop Blog. My first ever screenshare video! Please let me know how you feel about the video tutorial versus other types of tutorials (picture or written tutorials). I'd love it if you shared anything you made using this video! The first thing we're going to cover is choosing your blogger template to modify and then deciding on a color palette or finding one that you like for your blog's design. This walk through is fairly image heavy, to best demonstrate what's being discussed. Post at least three times a week on the blog (M,W,F). Commit 1 hour to my blog each day, whether writing for the blog, writing comments, or simply doing research/brain storming, etc. Do I like other bloggers? See! These really are hard questions! Now, it's time for my answers. When I first queued this post, it was suppose to just be some random pregnancy pictures. However, it snowed for well over 12 hours here between Wednesday night and Thursday afternoon. However, the wind blew a lot of the snow off the good sledding hill and (from what I heard) was blowing directly in your face if you tried to go down it anyway. So, we put the sledding idea on the back burner, and went over to our relative's house where my two nieces and my nephew were. I hate winter, but (even to my husband's surprise) I was prepared to go out into the weather with my boys. The hubby's thermal underpants really helped! First, I'd like to wish myself a happy birthday! It's my 22nd birthday on this first day of January 2014 (it's going to take time getting used to writing that instead of 2013). I'll not be doing much today, other than working a few hours and lounging around the house. Tomorrow, I think I'm finally going to go eat at Applebees with the family. I know, I know. Big plans, huh? Well, this pregnant lady has been craving some Applebees food for a while now. Seems as good a time as any. January promises to be a busy month for me and my family. The month starts off with my birthday, my transfer to a new department at work, and college starting back up. I'm taking 4, instead of 3, classes this semester. Figure the semester before baby girl is born is probably a good time to take an extra class. The hubby's birthday is on the 20th, my nephew is due on the 21st, and my mom's birthday is on the 24th. 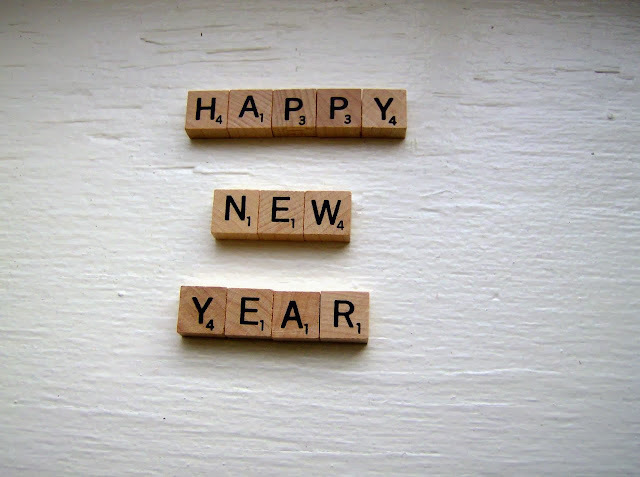 Let's get 2014 started! I only had to erase 2013 two times before I got it right! I haven't thought much about resolutions. Everybody always forgets about those by the time March rolls around anyway, right? I do have some goals in mind for 2014, though. Goals are serious stuff, right? New Years resolutions...not so much. Choose between the two four year colleges I want to transfer to. Acquire a certification before transferring to said four year college. Apply to be a substitute teacher for the 2014-2015 school year. Give birth to a healthy baby girl. Repaint the interior of the house. 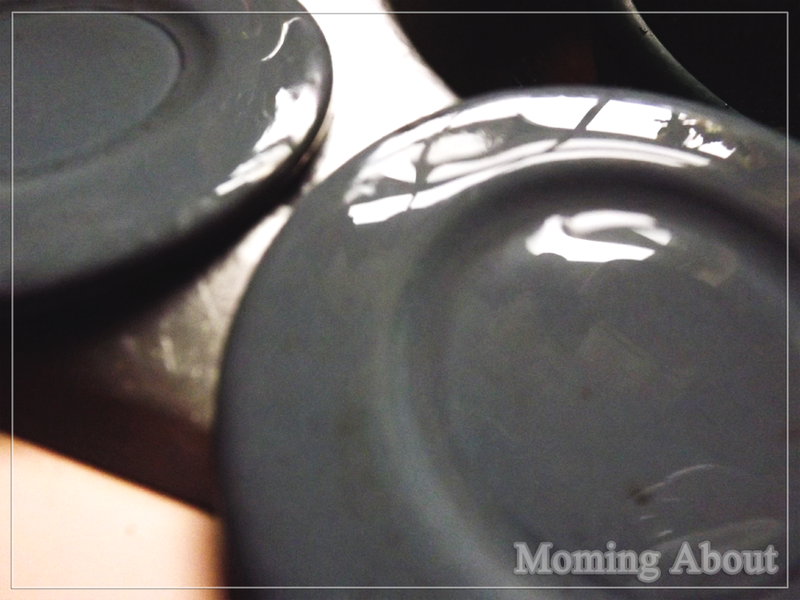 Start crafting for fun and for monetary gain (currently wanting to try metal stamping, polymer clay jewelry, felt stuffed animals, and/or other jewelry projects). Find a good balance for it all; family, fun, work, marriage, etc. I doubt this covers everything I'd like to accomplish throughout the year, but it definitely has the basics and many of the important ones. What are your goals for the year? Do you usually make new years resolutions? How do you track your progress?